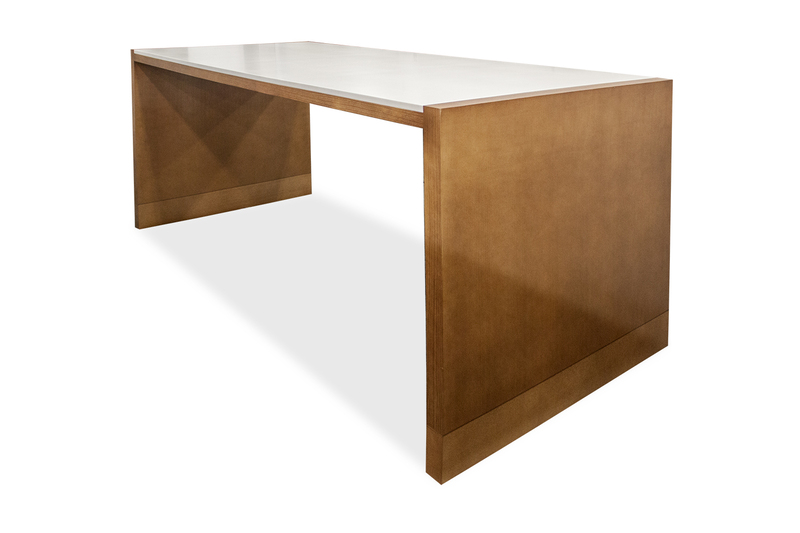 Pre-owned rectangular collaboration table has a white speckled quartz top with maple edge trim. 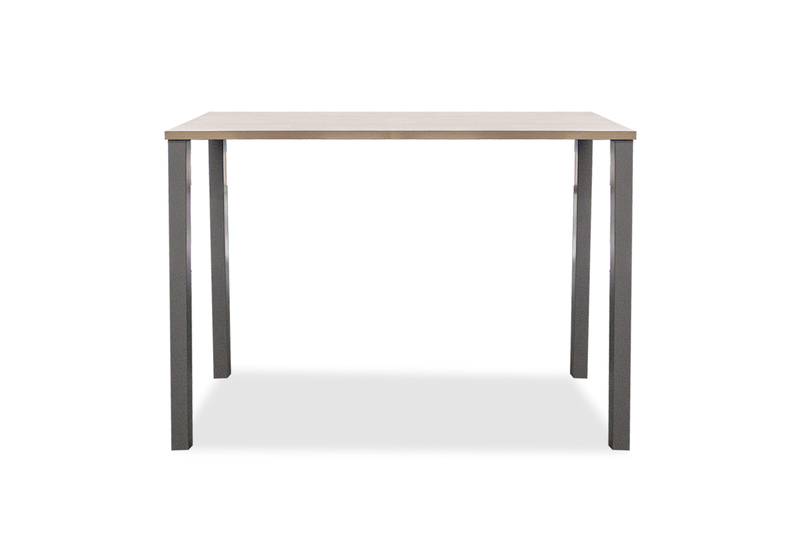 With a maple base with (6) post legs and (5) conjoining beams. Dimensions: 48"D x 180"W x 42"H.